Contracts and Grants is the only performance-based small business membership organization in United States. In addition to helping our members use the Performance Assessment Ratings System to measure the past performance of other subscriber-members, we also measure our organizational success using the Programming and Performance Metrics. 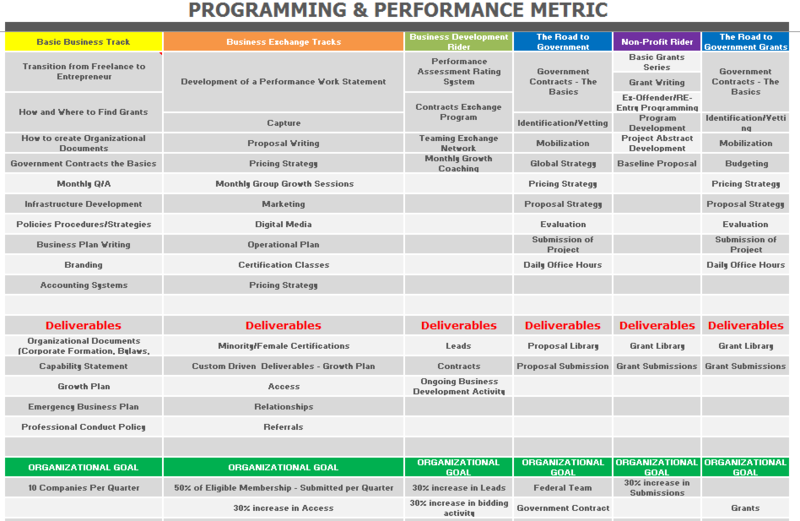 As such, our success is measured not by the rate at which we grow our own membership numbers, but by the rate at which, and impact of, the services we deliver to help our subscriber-members grow and scale their businesses using the Programming and Performance Metrics outline below. You can download the spreadsheet by clicking here.